I had no idea for a title here, so this is what I had. In reality it’s not bad for what I considered and planned for this shot. Wildlife photography rarely has time for a plan. I did on this one. I knew the Egret was settled in so I made sure to not get too close. Also I wanted to use the long zoom of my lens here. 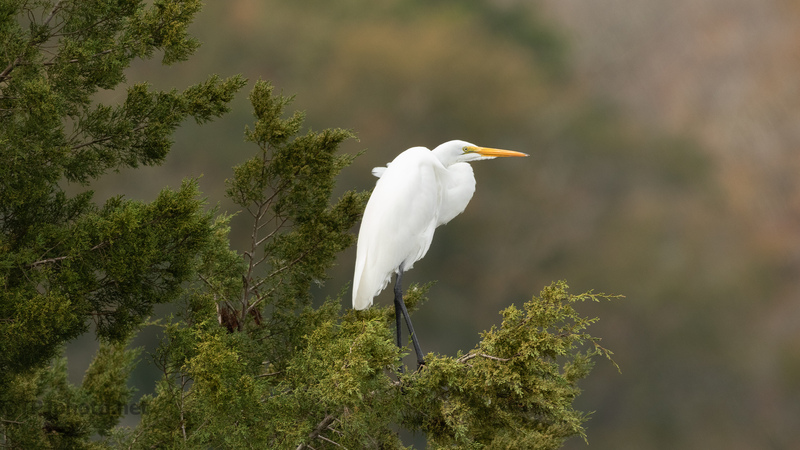 By shooting the Egret at this angle, with a long lens, I would get a nice blur (bokeh) background. It’s one of the nice ways to use a very long lens besides shooting closeups. As usual I metered on the white bird only, spot metering. This can darken the environment around the white bird. One trick here… getting the right result. All the above is the technical stuff. Typically the real world sneaks in and none of the plan matters. ‘If something can go wrong, it will go wrong’. I took 5 photographs, 1 bad, 2 fair, 2 like the one above. Not bad considering how many things could have gone wrong. Sometimes a photograph that we do not like most badly to others.